On October 24, 2011, the St. Louis County Department of Health identified a cluster of 17 E. coli O157:H7 cases centered in a multi-county area on the Missouri/Illinois border. Almost immediately, the Centers for Disease Control and Prevention (CDC), the St. Louis County Department of Health, and the Missouri Department of Health initiated a multistate outbreak investigation that began assembling clinical isolates sharing an indistinguishable pulsed-field electrophoresis (PFGE) pattern. For those already collected, the PFGE patterns from two restriction enzymes (Xbal and Blnl) were then submitted to national molecular subtyping network for foodborne disease surveillance, or PulseNet. These isolates were also simultaneously tested by multiple-locus variable-number tandem repeat analysis by the Minnesota Department of Health and the CDC, forming a baseline for comparison with further cases. Over the next couple of months, the Minnesota Department of Health, the St. Louis County Department of Health, and the CDC collected identical matches as they were uploaded into PulseNet. By March 21, 2012, there were 60 identified E. coli O157:H7 victims of the October 2011 E. coli O157:H7 outbreak. The CDC eventually determined that the 60 victims, hailing from 10 different states, were part of this outbreak. These victims, while wide-spread, were centered heavily in the state of Missouri and, to a lesser degree, Illinois. The identified victims were distributed in Arizona (1), Arkansas (2), Georgia (1), Illinois (9), Indiana (2), Kansas (3), Kentucky (1), Minnesota (3), Missouri (37), and Nebraska (1). The victims of this E. coli O157:H7 outbreak were eventually traced to having eaten at one of two “retail sources,” including one college dining hall in Minnesota and salad bars at Schnucks Market grocery outlets. The CDC did not name either source directly, but the “single grocery store chain,” referred to by the CDC only as “Chain A,” has since been identified through court documents, the testimony of victims, and the press as Schnucks Markets. In similar fashion, the University of Minnesota has been identified as the implicated college campus. But identifying these retail outlets was not enough to narrow down the exact source of this E. coli O157:H7 outbreak. So from October 28-31, 2011, when fewer than half the eventual number of victims had been identified, health investigators began to administer to confirmed victims a Standardized National Hypothesis-Generating Questionnaire, developed initially by the CDC. This questionnaire enabled investigators to rapidly and uniformly identify over 200 possible environmental sources of E. coli. In addition, a supplemental questionnaire with more than 150 exposures common to soup, salad, and hot food prominent at Schnucks salad bars was then added to further narrow the focus of the investigation. A number of key revelations began to emerge. Of the interviewed victims, 90% who reported eating at a salad bar did so at a Schnucks salad bar, 92% noted having eaten leafy greens; and 86% specifically identified romaine lettuce among the leafy greens. After a thorough analysis of the data, the CDC determined that romaine lettuce was the only statistically significant common food source of the victims, and based upon this fact began to investigate the sources of the romaine lettuce at both the University of Minnesota and the affected Schnucks salad bars. This investigation, called a trace back investigation, endeavored to identify the “convergence” between the romaine lettuce supplied to the University of Minnesota and that supplied to the Schnucks salad bars. The trace back investigation revealed that the University of Minnesota was supplied, most directly, by Go Fresh, and that the Schnucks salad bars were supplied by Vaughan Foods (Vaughan Foods supplied the Schnucks warehouses which, in turn, supplied the individual salad bars). Go Fresh had received romaine lettuce from Bogiatto, C & E Farms, Dole, D’arrifo, Epic Veg., and Green Giant. Vaughan Foods, in turn, had received romaine lettuce from Foodsource Monterey in California, which had received the romaine lettuce from C & E Farms. During this time period, only C & E Farms was a common supplier to both Schnucks salad bars and the University of Minnesota. Thus, the trace back investigation was successful in identifying a single source of romaine lettuce, or a “convergence” in the supply of food to both Go Fresh and to Foodsource/Vaughan Foods—C & E Farms. We have since learned that the contaminated lettuce C & E Farms distributed to both Schnucks salad bars and the University of Minnesota came from a source farm as part of Lot 21R23, which was harvested on October 5 and 6 of 2011. Over the past 20 years, Ron has recovered over $600,000,000 for victims across the United States, Mexico, and Canada. 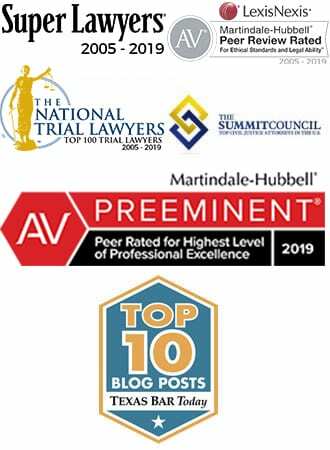 He has collected over 100 settlements in excess of one million dollars, including scores of record-setting recoveries in courts across the United States. Ron’s groundbreaking work on behalf of victims in several national food borne illness outbreaks (Peter Pan peanut butter, Nestle cookie dough, Kellogg crackers, Subway sandwiches, Wright County eggs, and Jensen Farms cantaloupes, among others) has been featured on NBC, ABC, CBS, CNN, FOX and virtually all other major television networks and print media. 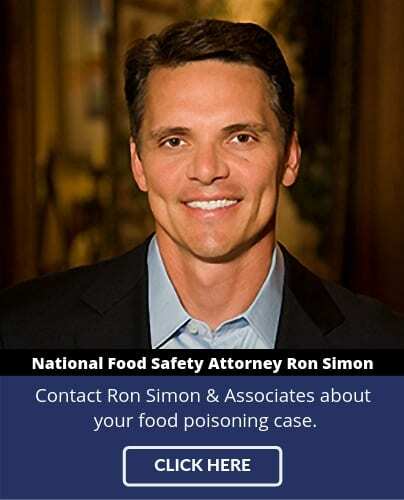 Ron’s articles on ongoing food poisoning outbreaks and related litigation – through www.foodpoisoningnews.com – have been viewed by readers in over 180 countries across the globe.